The sandwich is a modest little thing. If it were a person, I imagine he would stand with his hands in his pockets, scuffing the floor with his shoe and trying not to make eye contact. But this unassuming chameleon has a lot to be proud of; he can take on anything – from fish fingers to fillet steak, marmite to ham and mustard. Done properly, with delicious, fresh bread, a hearty filling and those crucial condiments to add ‘je ne sais quoi’, it is truly one of my favourite simple pleasures. In its versatility, you might say it’s a little like my absolute favourite pleasure – CAKE! 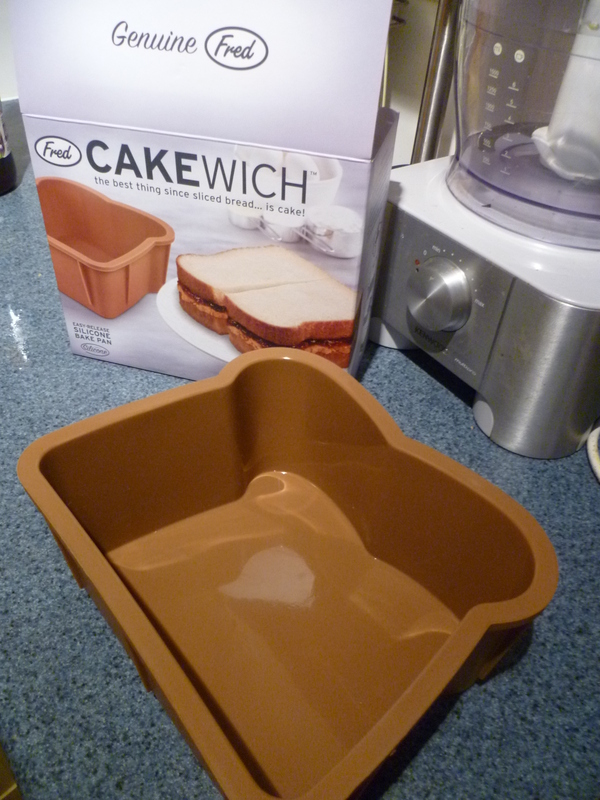 The cakewich mould is made from high-quality silicone, which means it’s super easy to get the cake out, super easy to clean, and makes super cool-looking cake. What more can you want? 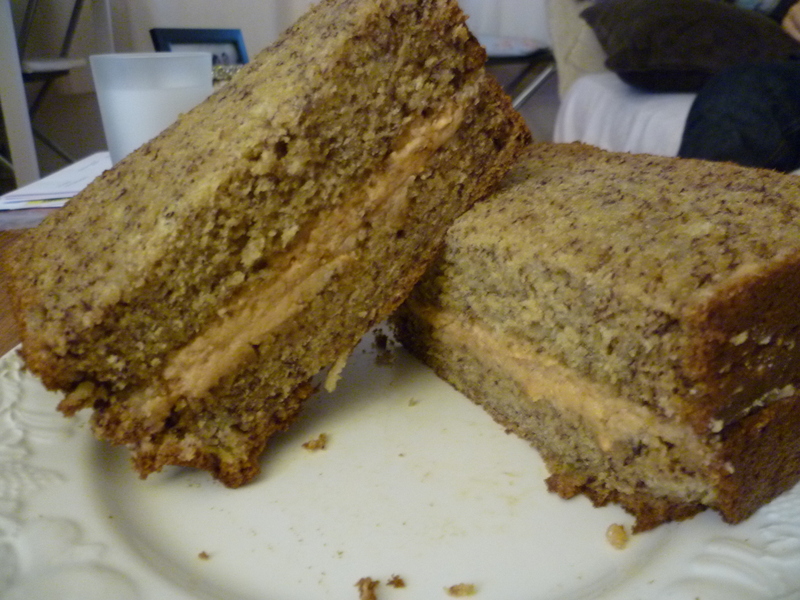 The wonderful Christine over at Angrycherry.com recently created a heart-achingly amazing recipe for a peanut butter and jelly cakewich that had me trying to lick the screen, so I knew I peanut butter just had to be involved. 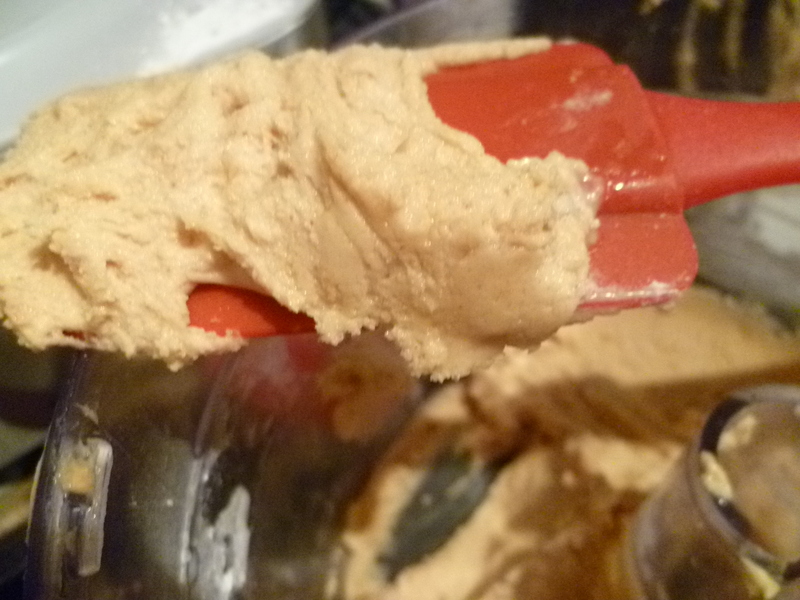 Prepare yourself for the finger-licking-good luxury of peanut butter frosting. 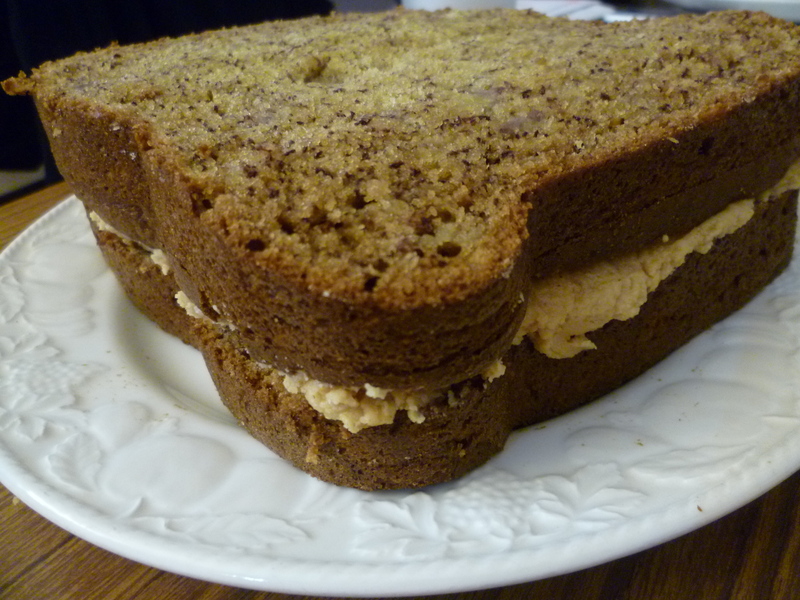 Never one to turn down an opportunity for extravagance and to indulge my sweet tooth, I also adapted my easy peasy banana muffin recipe to form the gooey, moist ‘bread’ of the cakewich. tbsp of milk, if needed, to combine. Mash the bananas in a large bowl until nicely mushed up. Add the eggs, sugar, and melted butter and mix until smooth and well combined. Sift in the flour, bicarb and baking powder, and fold in until well combined. Bake in the centre of the oven for aound 60 minutes. Check after 45 minutes. It’s ready when a skewer comes out clean. 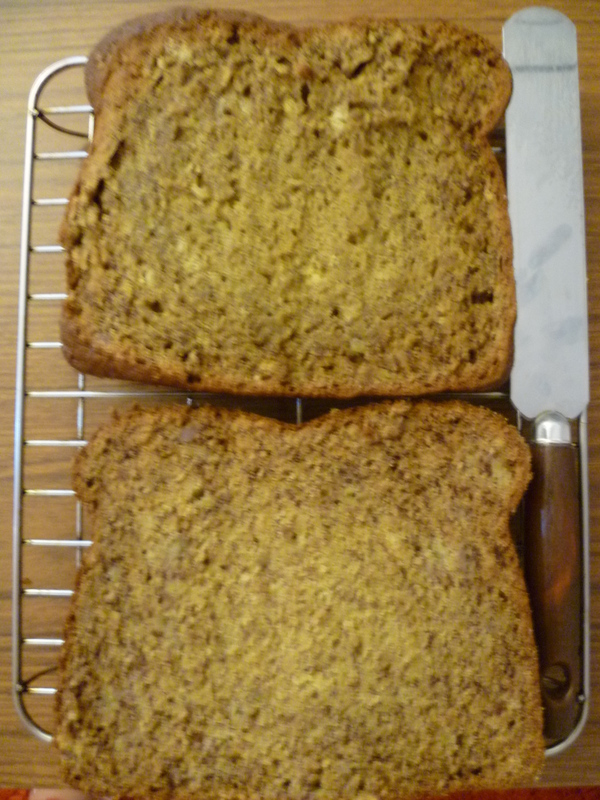 Be careful with this one – the top may look ready, but the insides can still be gooey. The nature of the tin means you should get a slight dome on the top. This is exactly what you want so you can slice it off, leaving yourself with the look of sliced bread. Tada! 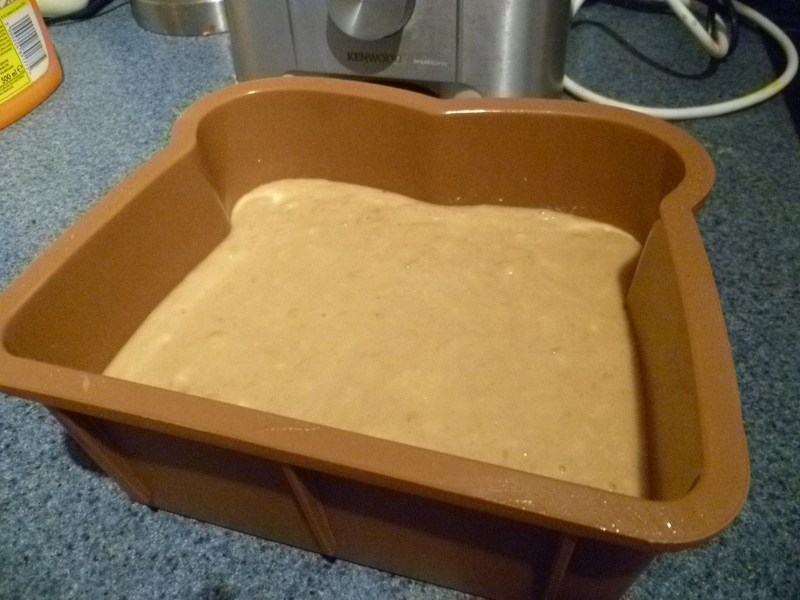 One the cake has cooled, slice it in half to add your ‘filling’. Put the butter and peanut butter into a medium bowl and beat with an electric mixer for several minutes until combined. Gradually mix in the sugar to combine, adding milk if necessary. Add the vanilla and beat until fluffy. It’s safe to say that this cake isn’t for the faint-hearted. Though deliciously simple to make, it’s sweet, moist, gooey, unapologetically indulgent, and undoubtedly a whopper in terms of calories. This, of course, translates to a mouth full of awesome that just keeps on giving. If it makes you feel better, eat it with some fresh banana sliced on the top and tell yourself you’re getting one of your five a day. The humble sandwich will never be the same again. 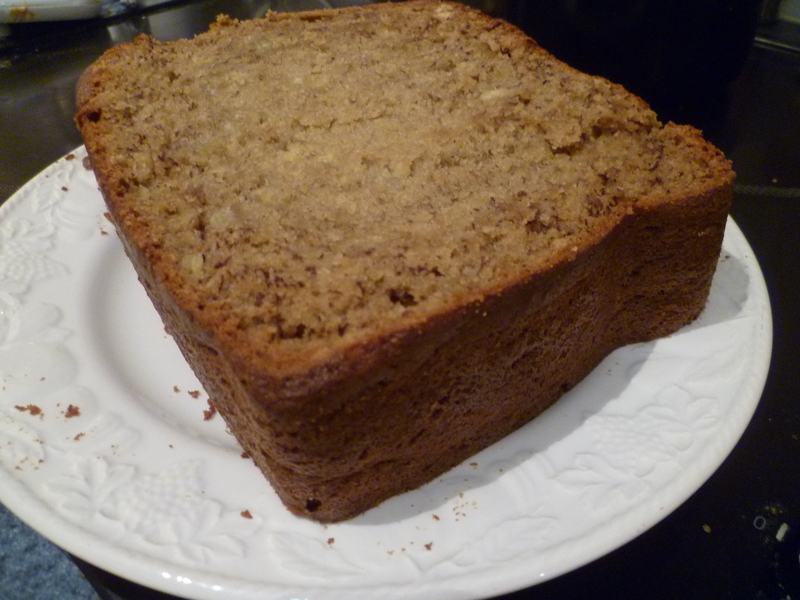 I think this is the banana bread I’m looking for!! 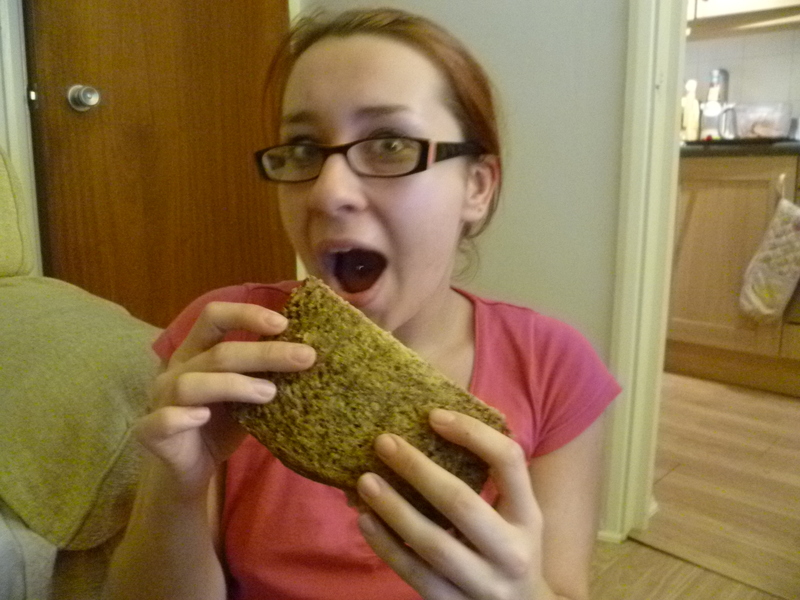 is it Cake’ish or Bread’ish?? ?